Control your transaction flow, expand your reach, grow your revenue and explore the route to better success rate. Routing schemes based on different card types, bins, etc. Automated destribution of volume across providers based on their geographical location, success rates, fees, etc. Highly available architecture with backup servers for any physical failure. Offer your premium customers a seamless and smooth shopping journey by disabling the 3D secure whilst minimising your fraud risks by enabling 3D for high risk customers and high valued transactions. Newgen Saarthi supports your model with a core that adapts itself as per your business logic. 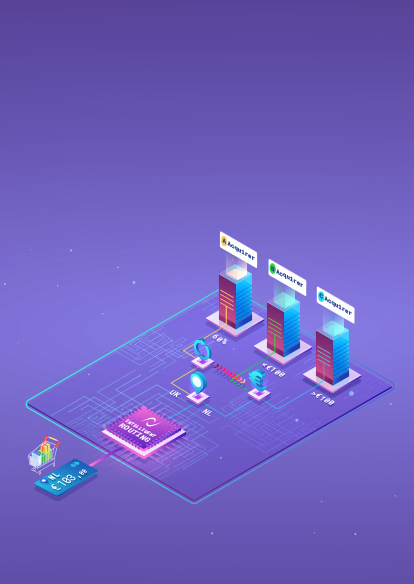 It uses non-deterministic algorithms to evaluate your transactions based on multiple parameters such as platform health, geolocation, success rate, fees, card types, etc. All this is completely automated to give your business the boost it deserves. Newgen Saarthi automatically tracks all inherent transaction fee to determine the optimal route and ensure lower fees by managing cashflows across multiple providers. With the help of request currency and payee geographic location, Saarthi transforms all payments into local transactions, eliminating cross-border and currency conversion fees for international transactions. You’ll have everything you need to make all the right decisions to reach your full business potential. Money movement in the real world is a monumental task with strict compliance requirements, frequent auditing and dealing with systems manually through emails or files. Newgen Route handles all of these for you out of the box, taking care of all complexities and regulatory requirements. Sign up now and start splitting payments through our intuitive platform.